Mrs. Dailey has been teaching since 1992. She has been teaching at Lemon Bay since 1993. She has a Bachelors Degree in Mathematics Education. She is a Graduate of Lemon Bay High School. 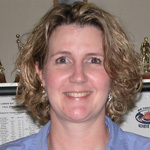 She Coached girls basketball from 1990-1991,and from 1993-2003.